Tattoo Blowout or Is It Still Healing? 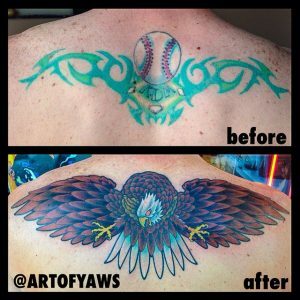 Sometimes, at the beginning of the healing of your tattoo, you will see a bluish edge around your new body art, this is not necessarily a blowout. If after the healing process has come to an end, the lines are blurry or the various colors of ink have bled into each other, you most likely have a tattoo blowout. If the tattoo artist uses the needle inefficiently, using the tattoo machine in the wrong angle, pushing too hard or letting the needles go too deep. In the last scenario, what happens is that the difference in pressure and cell structure in the deeper skin makes the ink disperse along irregular paths throughout the skin layers. What you will see is a bluish haze, commonly known as ‘’blowout’’. Elbow fold, fingers, or knee cavity are often body parts prone to developing blowouts. If you move in excess a body part that has recently got a tattoo, the ink can begin to disperse erratically, thus creating a blowout. And of course, if you do not follow the aftercare recommendations, this tattoo imperfection is likely to appear. Fortunately, this tattoo mess can be corrected. There are two ways of addressing a tattoo blowout. Just keep in mind that you would have to go a whole lot bigger design to fix a tattoo blowout. This will only mask the part that you hate. It is almost impossible to anticipate how your new tattoo will heal. However, there are a few simple tips you can follow to prevent your tattoo from getting a bluish haze or a blotchy mess of colors. Avoid getting a tattoo in areas prone to blowouts like hands and feet. Follow the aftercare instructions perfectly. Choose a professional and experienced tattoo artist. 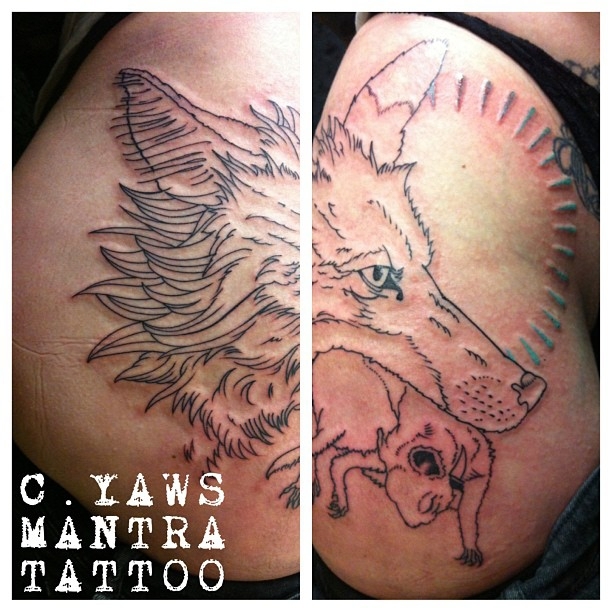 Trust Mantra Tattoo artists to get your new tattoo in Colorado. We have the best tattooist in Colorado. Plus, they do their job in a safe and clean environment. We are the best place to go for hassle-free tattoos.